Pokédex Entry- Its bones are hollow enough to permit flight. If it has passengers, they are typically small children, since it can't support heavier people. It has an amiable nature, mostly. It enjoys flying. Its ears are also used as rudders for flying. 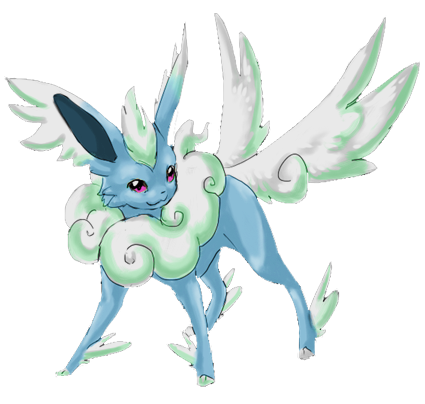 It's one of the larger eeveelutions.